The capacity to continuously learn and adapt is critical for dealing with complex challenges and future uncertainties. 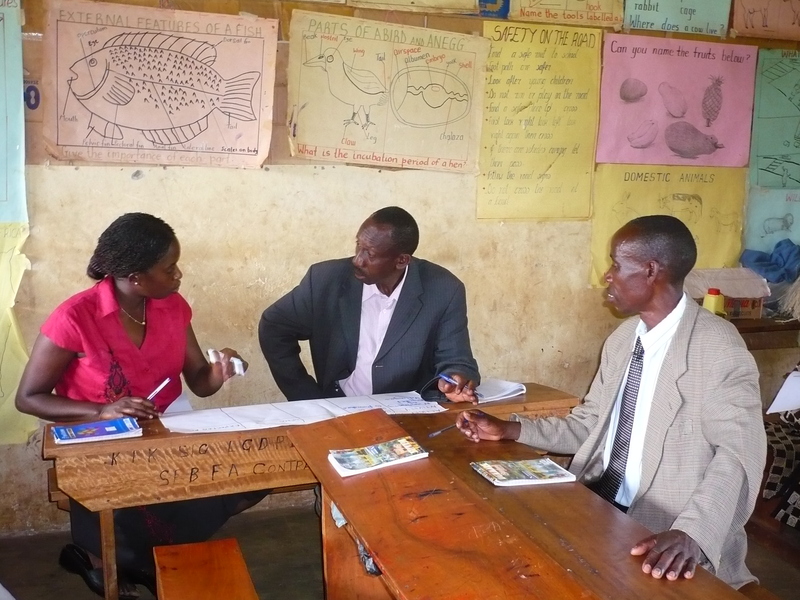 In this first blog in a series about ‘a learning and adaptive sector’, we discuss why learning is central to achieving water, sanitation and hygiene (WASH) services for life. If our intent is to change people’s lives, water must flow forever, toilets must safely separate humans from faeces and good hygiene behaviours must be upheld. Yet, there is ample evidence that many water systems in the global South work poorly or break down altogether and that toilets fill up, break or are simply never used despite decades of efforts. Clearly, we need to do things better and differently. A first step is understanding better what causes service failure. The combined impact of the above is that some degree of future uncertainty is inevitable. The water, sanitation and hygiene sector(s) can be understood as ‘complex adaptive systems’. This is not to suggest that the sector should not plan for sustainable services. Quite the opposite. With a vision for services for everyone, everywhere, plans, strategies and budgets can be created that can be adapted along the way in response to changing circumstances, while keeping the ultimate aim in sight. We need to recognise the reality of uncertainty in our efforts to provide services and foster capabilities related to observation, learning, resolving problems and adapting approaches or models. Looking beyond our sector we see similar challenges and solutions.For example, Professor Richard de Neufville of the Massachusetts Institute of Technology (MIT) speaks about ‘Flexibility in Engineering Design’ and proposes that planning and designing infrastructure (in his case flood control works and skyscrapers) requires a mindset of planning for unknown futures: Accept the inevitability that the current design will not stand up to the unknown future requirements and be prepared to respond accordingly. While we cannot predict the future, we can keep our long term vision in sight, identify various plausible future scenarios and be prepared with a varied series of plans at the ready for adapting and implementing when the time comes for us to make a change in course toward achieving the long-term vision. De Neufville places the human actions of observing, visioning, planning, decision taking, sense making and adapting at the centre of how we design and operate infrastructure in order to make it work according to what people need – now and in the future. Learning in its broadest sense is at the core of providing public services in an equitable and sustainable manner – for life; the life of the service user, the life of the infrastructure, for future lives and livelihoods. Learning and adapting has been identified as one of the building blocks of a service delivery approach. Learning is the process of incorporating evidence and lessons learned into ongoing practices to increase effectiveness and sustainability. Learning includes documenting and sharing good practices. In the blog series calling for a new and bold way of thinking*, Patrick Moriarty and Harold Lockwood point out that learning is of central importance for a shift towards service delivery and for on-going sector health, but it is very difficult for people to get their heads around. Change throughout the sector takes time and lots of ‘baby steps’, but we are cautiously optimistic. IRC facilitates and catalyses such experiential learning and collaborative change through action research, monitoring and learning alliances, which bring together multiple stakeholders throughout the sector. Like for example in Ghana and Uganda, where we are working closely with government and other implementers and experimenting with improvements to service delivery. Last month’s WASH sustainability Forum in Amsterdam showed an increasing awareness that there are no silver bullets, but that we need to move away from ‘business as usual’. System wide change means multiple solutions must be implemented across all levels of the WASH sector. Ad hoc training will not suffice. The sector needs to move beyond improving existing measures, towards building capacities of sector professionals to take stock, to question, challenge and change old assumptions and paradigms. Continuous improvement requires a commitment to ongoing monitoring, innovating, learning and the willingness to adapt course. This in turn requires not-too-rigid institutions and policies that enable sector actors to experiment, give feedback and be prepared to respond in the face of uncertainty. A ‘learning and adaptive sector’ encompasses a range of capabilities: to identify, observe and understand what drives or hinders progress towards sustainable services, and to take action based on this. In our next blogs we will explore the concepts underpinning IRC’s approach to learning and change through the system that delivers water sanitation and hygiene services and some practical examples of recent work fostering learning for improved services. 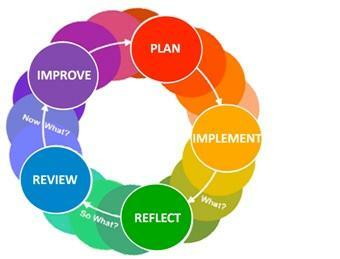 The image of the experiential learning cycle below depicts the necessary link between implementation, monitoring, reflection and improvement based on evidence. It represents a simplified cycle of track, assess (make sense of), learn (seek and test suitable solutions) and adapt that is at the heart of this notion of a learning and adaptive sector.